On July of 2016, began the transformation of a lifetime in our home. This was the 3rd and most involved component of a three part remodel to our first floor in order to accommodate my mother-in-laws wheelchair. The final conversion was to level our kitchen floor to be the same height as our dining room and living room floors, sand and stain the entire floor to appear as if it was one, open up our kitchen to the dining room to facilitate transition from one room to the other in the wheelchair, open up the layout of the kitchen to unify the space and be more family friendly as we have a large family, create a built in cabinet to eliminate the china cabinet in the dining room, add french panel doors to our pre-existing pantry and foyer, open up a wall to add new double exterior french doors to the back yard, upgrade baseboard heater panels, add a box window in the kitchen, and lastly, upgrade our old dated kitchen. This would prove to be the most difficult part of the process because it affected our entire first floor living space. Fortunately, for us the Radzwillas team is amazing and truly helped us through it!!! First the demo was as clean as a person could expect. They covered sections to protect areas from being swarmed with dust, plus they were excruciatingly methodical about nails and screws because we have 2 young children, and they helped my husband move large furniture pieces because I was physically unable to. Next, came the building and repairing, as we opened up walls we discovered the horrors of having an older home. As we began to freak out and pull our hair out, Pete reassured us that we would be ok and that his team would take care of it. True to form, Pete’s team took care of it!!! Steve the electrician removed all of the faulty wiring and took care of the electrical with thought and care to where light switches and outlets should be. When we began the installation process, there were changes that we wanted to make because things look one way on paper and another in a physical space. Pete’s team didn't bat and eye, we contacted Pete who came immediately, and listened to what we wanted to change. He made suggestions, agreed with our new ideas and things moved forward. When these changes took affect there was a baseboard heater in an area that we were not anticipating to place cabinetry. Jimmy the plumber came in and begin the removal process. My husband was concerned that we were now not going to have enough heat. Jimmy assured my husband that the toe kick he was going to install under the sink cabinet was going to take care of the heat. What truly stood out to me was that Jimmy said, if you don't feel assured we can easily install another baseboard in another area of the kitchen, but that we should wait and see when the system was operational. When Pete visited that afternoon he stated the exact same thing to my husband. It wasn't that they didn’t or weren't willing to do the work it was that they were knowledgable enough to know that we really did not need it. Another person would have just added a new heater unnecessarily and charged us, but they didn't because they knew it wasn't necessary. Sure enough the heat is the best our house has ever had! I will also never forget that it was a late Friday afternoon and the main carpenter on our project Ed, ensured that we had all of our appliances in place so that I would be able to utilize them over the weekend. This was despite the fact, that it was well past his shift. He called for some of the other crew guys and together they brought in and connected everything. He did this because he knew we were running around to cook and wash dishes in the backyard. When it was time to build our custom cabinet I wasn't sure how it would fit with the other cabinets and I wasn't sure how close to our ideas it would be. My expectations were surpassed by far. Scott the custom carpenter truly created a masterful piece which not only rivaled but exceeded the pictures we used as reference. The piece has truly become the focal point of our kitchen. When we met with him for the consultation there were things that we liked from some of the reference pictures and things that we knew couldn’t be done because of our space. The thing that resonates for me about Scott was that he heard my husband pass a comment about one of the details in a cabinet design we weren't able to use and he INCORPORATED it in OURS. It was the first thing my husband noticed when he walked in. He said “oh wow, Scott added the decorative element I liked from the cabinet in the picture.” Scott even used the exact same doors from the cabinets that we had installed in our kitchen so that they were identical but he opened them up with glass so we could get the desired effect we were looking for. Pete color matched the kitchen cabinet color so that the custom cabinet looked like it was purchased from the company. It’s an amazing piece of furniture!! We could name a million instances like these about Pete’s team. The other ones I truly want to highlight as well are, Ed the taper making our old homes ceiling look perfectly leveled so that Tim could install our crown molding straight. Then, Pete surprising us by working with the granite cutters to ensure that the additional pieces that were added to the kitchen design later on, would have the same granite instead of an alternative. Lastly, Tim, Jimmy, and Sal coming in to finalize all of the finishing details of our home with care and precision. 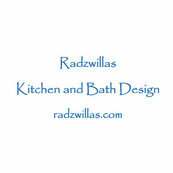 The Radzwillas team worked on our home as if it were their own. Any concerns or questions we had were addressed immediately. To us the Radzwillas team is the Rolling Stones of the building/contractor world with Pete leading as Mick Jagger. I would highly recommend them over and over without hesitation. To us, Pete and his team are not only carpenters, electricians, plumbers, and crew that pasted through our home but through their devotion and efforts have gained an eternal welcome we extend only to family and friends. The Radzwillas Team transformed our house into Our Dream Home, for that we will forever be grateful!! !